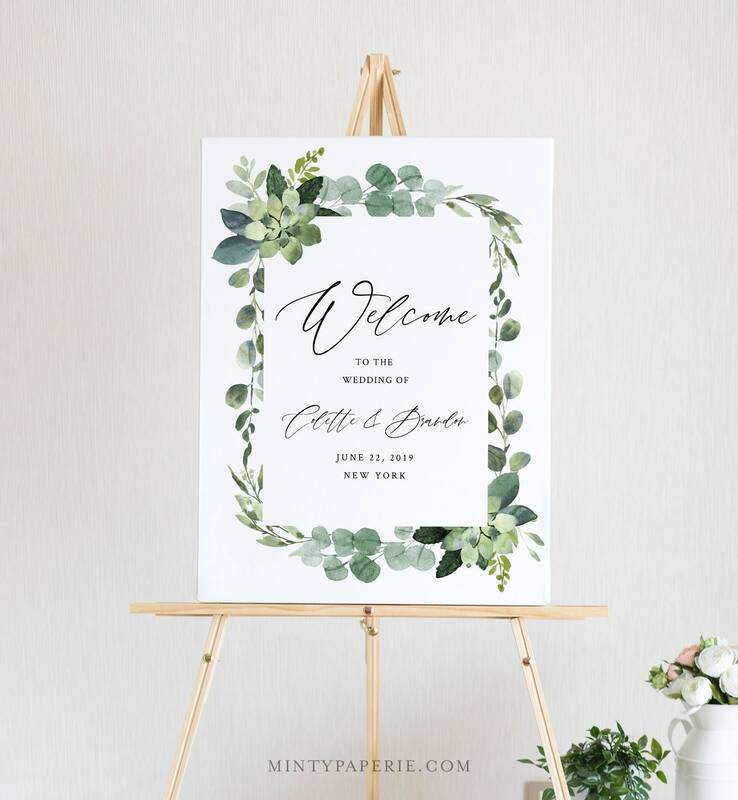 This WELCOME SIGN template can be used for a Bridal Shower or Wedding - featuring a hand-painted greenery and foliage. 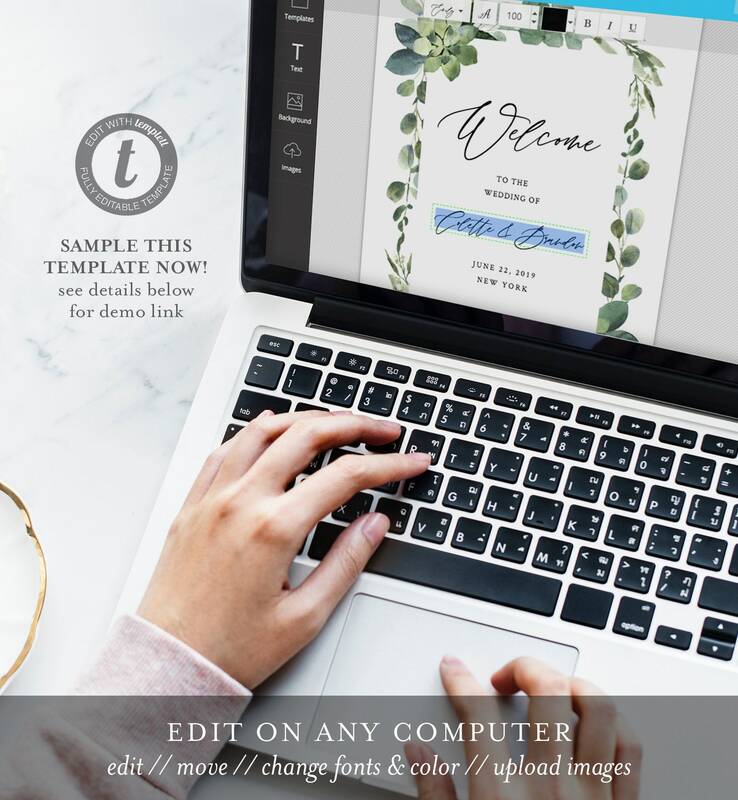 It's an INSTANT DOWNLOAD, so start editing within minutes of purchase and edit in TEMPLETT - A fully customizable template editor that allows you to personalize your printable directly in your web browser. No software to install or fonts to download. 3. 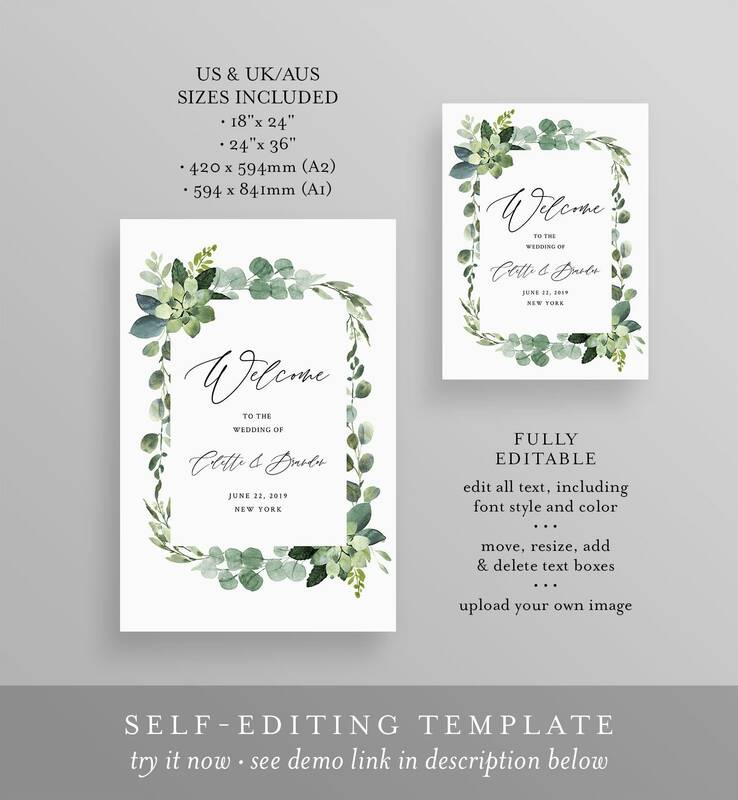 Make all your changes to the template, save, and download.